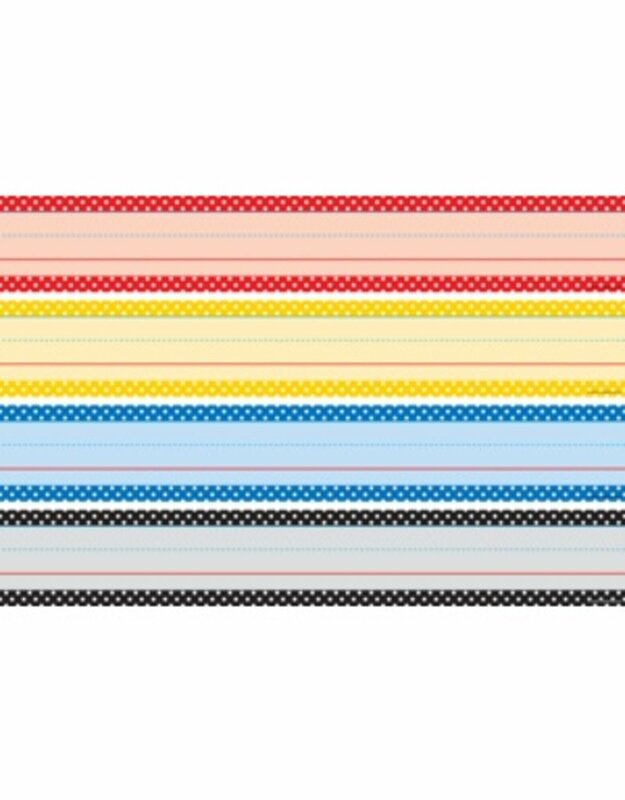 These Classic Colors Polka Dots Sentence Strips feature four different designs. Single sided; 1½" ruling with ¾" dotted guideline. 64 strips. 19½" x 3".